In the West, while the popularity of Traditional Japanese Medicine (Kampo and Acupuncture) is on the rise, availability of educational/informational resources on the subject is still limited. Today, I feel privileged to introduce, the “Textbook of Traditional Japanese Medicine (Kampo and Acupuncture)” online publication in English and Japanese, thanks to the principle researcher, Prof. Makoto Arai, Department of Kampo Medicine, Tokai University School of Medicine, Japan, who made this publication available for public viewing. As you will see, a great number of eminent Japanese Kampo specialists and Japanese acupuncture specialists contributed to the textbook, which was the Japanese government funded project. I am sure that the textbook will be useful for English (and Japanese) speaking people who are interested in Traditional Japanese Medicine. Tongue diagnosis is one of the important diagnostic methods in oriental medicines, and an acupuncturist can gather quite a bit of information about you and your conditions by observing your tongue, such as its colour, shape, cracks and coating. In general, a red tongue indicates you might have some kind of heat in the body, and red at the tip of the tongue can indicate that you are under stress or maybe anxious about something. On the other hand, a pale tongue suggests your energy, Qi, or blood may be on the lower side, or the presence of cold in the body. Your immune system might be weak, and you could be susceptible to infectious illness, such as a cold. If your tongue looks puffy and swollen, you may be experiencing some problems with your digestion and may be retaining fluids in some part in your body. It is also quite common to see a tongue with scalloped or teeth-marked edges. This can indicate that your energy, Qi, is weak and that you may be leading a hectic and busy life, feeling tired and not getting enough time to relax. The coating of the tongue can indicate the state of the stomach and other various acute conditions you might have. For example, if the coating in the centre of the tongue is thick yellow and dry, you may be experiencing stomach pains, bad breath, or a feeling of always being hungry. 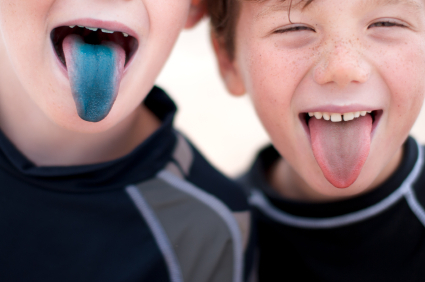 So then, what is a ‘normal’ tongue? It should be pale red, not too thin and not too swollen, and with no teeth marks. Also, the coating should be close to none or thin and white, and slightly moist, not dry. The conditions of your tongue change as your health changes, but in general the changes appear on the tongue more slowly (except a high fever developing from colds or a flu can create a very red tongue fairly quickly). In other words, the appearance of your tongue can suggest that certain health conditions might have been in the body for a long time. When you visit an acupuncturist, it’s important to refrain from certain foods and drinks a few hours before your appointment. Certain foods such as curry, tomato ketchup, coffee, and tea may stain your tongue and make it difficult for your acupuncturist to make a proper diagnosis. Get your tongue looked at and have regular acupuncture! It is a safe, drug-free, and great way to maintain your well-being and for longevity. Let’s imagine, it is cold and raining outside; and you have just arrived to a big meeting. You spotted some of the participants sneezing, coughing and blowing their noses; and you have a bit of shiver on your back and a slight headache. Now, you fear that you may be coming down with a cold too… You want to go home, get warm, eat a nourishing food and have a good rest. What would you eat then to get yourself to feel stronger…a simple porridge or a lean steak? When you are coming down with a cold, what you eat may decide which way you go with the cold, either get better or feel more sick, says Dr. Tei. Some of you may think that a steak can give you the extra stamina you need to sail through this period. 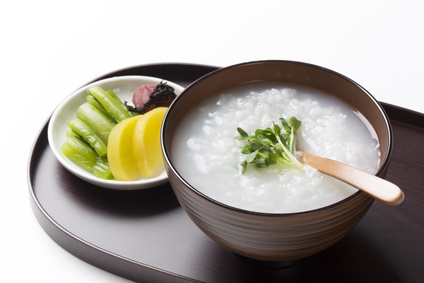 However, the better choice would be a simple rice porridge with grated ginger and a pickled plum, Umeboshi in Japanese. Also, something hot and lightly seasoned, such as a chicken soup, would be another great choice. An important thing is that you don’t want to burden your digestive system particularly when you are feeling vulnerable as in the beginning stage of a cold. Now, scientists know that 60 ~ 70 % of immune cells are in the intestines. So if you burden the intestines with a large quantity of heavy foods, the immune cells will be “glued to” the intestinal walls and won’t be able to support the rest of the body. When viruses are entering the body, you need those immune cells to get out there within the whole body and fight against the viruses. Therefore, when you feel like you are catching a cold, it is more important to eat light, keep the body warm and for you to be well rested. In this way, a parasympathetic (branch of the autonomic) nervous system becomes activated and your immune power goes up…giving you a better chance of feeling better soon. It is interesting, as the above advice was given in the description of one of the classic Kampo formulae for a beginning stage of a cold, called Keishito or 桂枝湯 (Cinnamon Combination) in one of the classical Kampo texts, called Sho Kan Ron or 傷寒論, which was believed to have been written approximately 2000 years ago. Many intriguing ideas and insights on healthy living from a Kampo point of view coincide with what has been preached in another extraordinary book called, Yojokun or 養生訓, “Lessons on Nurturing Life”. The author (1630-1714) was a physician for a samurai clan, a botanist and a neo-Confucian philosopher. The book is a compilation of precepts for living life mentally, spiritually and physically to its fullest. In fact, the author completed the book when he was 84 years old based on the collections of his own notes on health and happiness, and how to prevent the onset of disease. Although the author extensively wrote on the mind, emotions, exercises, sexual activities etc., here are some nutritional/eating guidance, which are again surprisingly appropriate even today. When it comes to rare or beautifully prepared food, you should stop eating to a point where you are seventy to eighty percent satisfied. Never continue eating until you are full in the stomach. Your meals should be light and lightly seasoned. Do not overeat fatty foods and strongly seasoned foods. Never eat raw and cold foods. Limit to one cup of soup, one plate of fish and one or two side dishes. Warming foods are good and cooling foods are not. Supper should be light and in a smaller portion. Do not eat late at night. Going to sleep right after eating is not good. If you do, you will get ill.
Snacks between meals are not good. The digestive system benefits from a good rest with some period of no eating (it does not mean extended fasting here). So have a think how you can give your hard working digestive organs a good rest in your eating life. This plays a big role in maintaining your health throughout your life – Nurturing Life! Dr. Munetetsu Tei: “Train Your Intestines To Lose Weight And Become Healthy!” (in Japanese). Shufunotomo, 2011. Keisetsu Otsuka, Sho Kan Ron Commentary (original in Japanese), Sogen Sha 1966. Ekiken Kaibara, Yojokun (original in Japanese); translated into modern Japanese by Tomonobu Itoh, Kodansha Gatsujyutsu Bunko, 1982. Ekiken Kaibara, Yojokun: life lessons from a samurai; translated into English by William Scott Wilson, Kodansha International, 2008. Posted in Train your Intestines to Lose Weight and Become Healthy! You probably have some favourite foods, but “If you are quite particular about a certain food or your cravings recently or suddenly changed, it may indicate an illness”, warns Dr. Tei. There is a profound relationship between foods and illnesses, and Kampo views that an illness makes you crave a certain food. In fact, people with a chronic illness crave foods that can make the illness worse. In other words, they tend to favour the foods that make the illness more powerful. Therefore, if they stop eating those foods, the illness naturally weakens. If your favourite food has suddenly changed, then stop and take a note of it, as your new food craving may be due to the illness that is driving you desire for it. When “abnormality” happens in the body, particularly when something is growing large fast; what you crave often changes. Pregnancy is a classic example. Obviously, pregnancy is not illness, but lots of changes are taking place in women’s bodies and something new is rapidly growing inside them. Pregnancy often makes women crave even something that they have never eaten before, and a great deal of it too. Although there are different kinds of overweight depending on your constitutions, “cold foods” are the most common ones that overweight people crave. You can imagine as follows. Fats (‘illness’) badly crave something cold because they don’t want to melt away with the warmth and want to stay where they are (keeping you overweight). In general, overweight people start a meal with a sip of ice cold water or a cold dish, such as a chilled salad. Thin people generally do the opposite and start with a hot dish and then move onto cold ones. By starting with warm foods, thin people are naturally enhancing the intestines’ metabolism. Cold foods lower the metabolism and warm foods raise it, and happens more so in women. It is actually a very good thing that you sweat lightly (a sign of raised metabolism) during or after you eat meals. In other words, a sequence of what you eat can give different outcomes to your health and influence on being, becoming and reducing overweight in the long term. Why do you eat? Of course you eat to get nutrients for your bodily functions. However, the most important thing about eating is the following: Does what you eat satisfy the appetite centre in the brain? Unless the appetite centre is satisfied, you don’t feel that you ate enough and will end up eating more than necessary. On the other hand, when a food at 4℃ enters the stomach, the blood gathers there and tries to warm it up until the temperature of the stomach and food goes up until 37℃, which is the deep body temperature. This reduces the blood circulation to the brain and muscles, leaving the brain not satisfied as not enough nutrients are being carried by the blood there. So, the brain continuously orders you to eat more. Furthermore, cold foods dull our sense of taste and this leads to the unsatisfied appetite centre in the brain. However, when cold foods/drinks contain a great amount of sugars, the brain can be satisfied sensing a higher level of glucose in the blood. You probably had an experience of drinking a cold coke, but cannot drink a coke at room temperature because you find it too sweet. Manufactures of such soft drinks put loads of sugars or other sweeteners in the drinks so that they taste good when they are cold. Another example of an illness making you crave a certain food is cancer, says Dr. Tei. Cancer cells thrive on 3 ~ 8 times more amounts of sugar than normal cells. In addition, because the cancer cell activities are aggressive, they tend to get overheated. Therefore, cancer cells favour something cold to cool the heat. 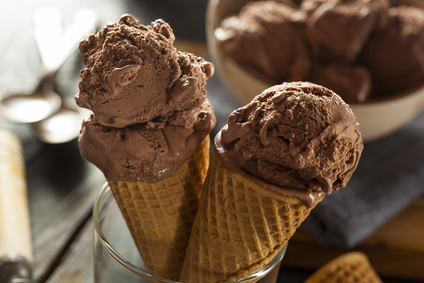 Sudden or recent change in cravings for something sweet and/or sweet & cold, such as an ice-cream, may indicate cancer, says Dr. Tei. Kampo doctors have been advising to avoid sweets to cancer patients all along. Now the western medicine also shares the common understanding that cancer cells crave sweets. Just remember that there is a profound relationship between foods and illnesses. In particular, any sudden or recent changes in your food craving may indicate an illness. Reference: Dr. Munetetsu Tei: “Train Your Intestines To Lose Weight And Become Healthy!” (in Japanese). Shufunotomo, 2011. Summer is here. Even in London the temperature hit 36℃ one day, which was a record high in the last 10 years. It makes you want to reach something cold like ice cream, cold drinks & juices, and chilled foods. If this continues for weeks and months, you may develop a condition called Summer Heat Weariness or “Natsu Bate” in Japanese. Before refrigerators and air conditioners, Natsu Bate used to imply “losing body weight due to summer heat”. That was because in the summer, foods went bad more quickly without refrigeration; the working environment was poor without air conditioning, and energy consumption went up due to raised metabolic rate with the heat. So people developed summer heat weariness or Natsu Bate and lost some body weights. Modern Natsu Bate, however, seems to have presented us with a quite different picture, possibly like this. When it gets hot, you tend to go for something sweet and cold, like chilled fruit juice, which does not require intestinal digestive activities. Because it is hot, you seek for air-conditioned rooms, but obviously have to go back and forth between these cool rooms and outdoor hot spaces quite a few times a day. Our body’s autonomic nervous system is forced to make adjustments of its functions according to the temperature changes all throughout the day. Making excessive adjustments is a great stress for the autonomic nervous system. Here is an interesting experiment that Dr. Tei (2011) conducted (p71). A mouse was made to travel between a refrigerator and a room with a room temperature 5 times a day. The finding was that the most damaged part of the body was the mouse’s intestines. The mucous membrane of the intestines got thinner, and undigested foods were found in the mouse’s faces. This suggests that the great stress is placed on the intestines with just five trips a day between the hot and cold places for the mice and therefore, you need to take a good care of the intestines even more in the summer. If we repeat with Hot & Cold environments, internal Cold (from cold drinks & foods) and excessive amount of sugar intake, not only the autonomic nervous system weakens further; but also our digestion and/or whole body goes out of balance. 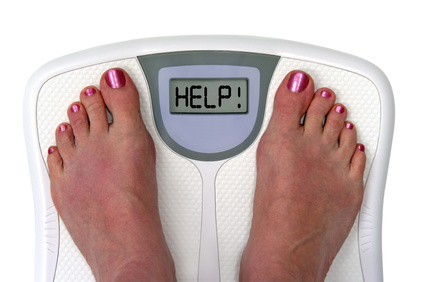 This leads to weariness, poor appetite, but also possible weight gain. 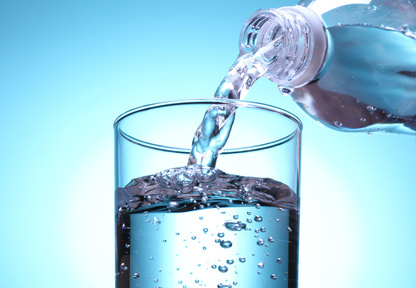 If your body weight goes up by 2 ~ 3 kg a day, often the water metabolism is not working well and it leaves you with bloatedness, swelling and/or a heavy feeling. This is modern Natsu Bate, and far from losing weight. Furthermore, because of the “Cold” in our body although it is hot outside, women may experience irregular menstrual cycles and/or menstrual disturbances. Kampo doctors say that women’s abdomen and lower back at around the navel level should be warm for good female health. Others may experience an inability to focus on things, and could catch colds more easily in the summer, and other conditions associated with lowered immunity. You become weak, but the body weight goes up – this seems to be a classic modern Natsu Bate. 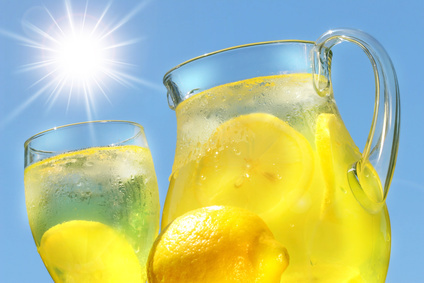 The way to sail through the hot summer and stay away from modern Natsu Bate is avoiding cold drinks & foods and sweet drinks & foods as much as you can. Needless to say, hydration is important. Why not try hot herbal teas and water at a room temperature. They would be kinder to your body. Cooked foods are better than chilled foods for the intestines too. Also do appropriate exercises according to your Sho and find a way to sweat out once a day. In this way, you keep your good metabolism going strong. Let’s look at more closely dieting programmes done in the Kampo way, as there are important basics that both Jitsu Sho and Kyo Sho should follow. Basics 1: A goal is to reach “your best body weight” at around age 20. An ideal body weight calculated based on your height or in a similar way is not a good idea, as two people with the same height may not be in the same Sho. In case you were overweight at around age 20, it is best to consult with a medical doctor and a Kampo doctor/a Kampo herbalist to evaluate your target weight. No Muffins & Cafe Latte Please!!! Basics 2: Avoid sugars so a fat metabolising system gets turned on. It may take 2 ~ 3 weeks for this to happen depending on each person. However, losing the body weight gets easy if you can follow this through in the first few weeks. Basics 3: It is not about the size of the meals but your body weight that counts. Basics 4: Follow a rule for your Sho. For Kyo Sho: if you overeat on one day, do the energy consumption adjustment within a day or two by doing some extra exercises and eating slightly less quantity of meals. In general, Kyo Sho is good at doing things at a steady pace, and more importantly their lungs and heart may not be as strong to handle vigorous cardiovascular exercises in one go. For Jitsu Sho: think one week as a unit. If you overeat during a week, do the energy consumption adjustment during the weekend and following week the latest, making sure to do extra cardiovascular exercises to keep your body weight on track. In general, Jitsu Sho is spontaneous and likes to do things with a full power. So they like to eat a lot too, and more importantly their lungs and heart are strong to handle an extra amount of vigorous exercise. Basics 5: Choose dietary fibre rich foods suitable for your Sho. While you are dieting, the quantity of your meals will be reduced and inevitably the amount of the intestinal exercises you will get is less as well, and this may weaken your intestines. Therefore, it is important to eat fibre rich and voluminous foods which help prevent constipation and keep your appetite at bay. In the Kampo way, appreciating and understanding the energetics of the food are important. They are divided into three categories; warming, neutral and cooling. For Kyo Sho, try to eat warming and neutral food, avoiding cooling ones because Kyo Sho’s metabolism is not as strong. Jitsu Sho can handle cooling food as well as warming ones. However, avoid eating lots of raw foods, and cooking the food should be the fundamental principle. Here is a chart showing some examples of the food divided into three categories. By following the basics above, you will create such a mechanism to “burn” accumulated subcutaneous fats. This actually means that the fats will melt into the blood streams, which could cause an abnormal amount of fats in the blood. In order to prevent this condition developing and lose the body weight smoothly, it is absolutely necessary to consume the melted fats in the blood by doing the (structural) muscular exercises. – For Kyo Sho and the elderly, the basic rule is to do light exercises everyday, which suit Kyo Sho, to improve and keep metabolism going. Singing can be a good choice too! It is not about how much or how long you do exercises, do enough until you sweat lightly. As you will see in the program for Kyo Sho below, it is designed to lose the body weight more gently spending a longer period of time. One of the reasons is that vigorous exercises are not suitable for Kyo Sho, but they still need to metabolise the melted fats in the blood. – For Jitsu Sho, do good cardiovascular exercises until you sweat a lot every other day to burn the fats. If you eat your meals at more less at the same times everyday, digestion and absorption will be smooth without straining your internal organs, particularly the Spleen, and the autonomic nervous system will function better. These are the must-have conditions to create an easy-to-lose-weight body constitution. Snacks between meals and snacks late at night are big enemies for dieting. If you feel like nibbling something, sip non caffeinated tea, such as Hoji Cha. It sounds boring, but you will be able to enjoy a variety of non caffeinated teas if you just give them a try. In order to burn fats, a variety of vitamins are necessary. 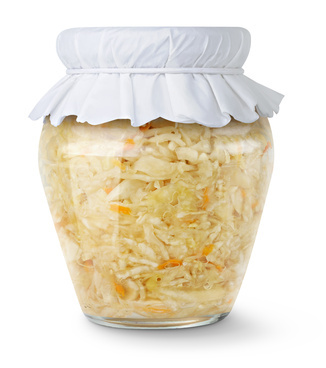 Rather than eating loads of fruits possibly containing lots of fructose (sugars) and some sweet vegetables, which lack of natural vitamins nowadays anyway, try eating more fermented vegetables, such as Sauerkraut or Kimchee (a traditional fermented Korean side dish made of vegetables with a variety of seasonings). Microorganism in the vegetables grows using sugars from the vegetables and make great nutrients including various vitamins. Just watch out for the amount of salt used in the pickled/fermented vegetables! Warm/hot foods not only help raise the metabolism but also satisfy the brain better than cold foods so you feel less hungry. As you eat a less amount of foods, you may develop constipation. Make sure to eat fibre rich foods and do regular exercises. If you get constipated, you may want to keep suitable Kampo or plant base laxatives handy at home. Take a look at these easy-to-follow practical dieting programmes designed for Kyo Sho and Jitsu Sho. Your main aim may be to lose the body weight, but by training and strengthening your intestines you also become more healthy. Reference: Dr. Munetetsu Tei: “Train Your Intestines To Lose Weight And Become Healthy!“. Shufunotomo-sha, 2011. This lower abdominal period pain can often be accompanied by lower back pain, tender breasts, moodiness, tearfulness, nausea, diarrhoea or constipation, and also headaches. Do these sound familiar to you? If yes, good news is that acupuncture can help clear or alleviate these symptoms. Let’s look at how traditional Chinese medicine (TCM) views a menstrual period, and a painful period. First of all, menstruation blood is called Tian Gui, or Heavenly Water for women. Ancient practitioners believed that menstruation blood is different from the regular blood which circulates in the body. In fact, Heavenly Water is considered Essence, the vital energy and allows women to conceive. As the name suggests, menstruation is more precious than just a monthly discharge. Our Heavenly Water depends on a smooth flow of energy, Qi and blood in the uterus. In other words, the period pain is caused by some kind of impediment of Qi and blood in the uterus, and this stagnation can bring on other disturbances, such as those mentioned above. In TCM, these signs of imbalance are identified as stagnation of Liver Qi, which is responsible for the balanced and smooth flow of Qi in the whole body. When the Liver Qi stagnates in women, not only the period pain and other disturbances, but also emotions get congested. The body sometimes attempts to clear this congestion and stagnation through outbursts of anger or crying in some women. Interestingly, TCM considers that anger is one of the emotions that is associated with the Liver, with tears being considered the fluids of the Liver. Acupuncture is effective in getting things moving smoothly in the uterus and harmonising the menstrual periods. Depending on their root cause, in addition to acupuncture, some diet change, heat therapy, (Moxibustion), light exercises and Kampo – Japanese herbal medicine may be used and/or suggested. 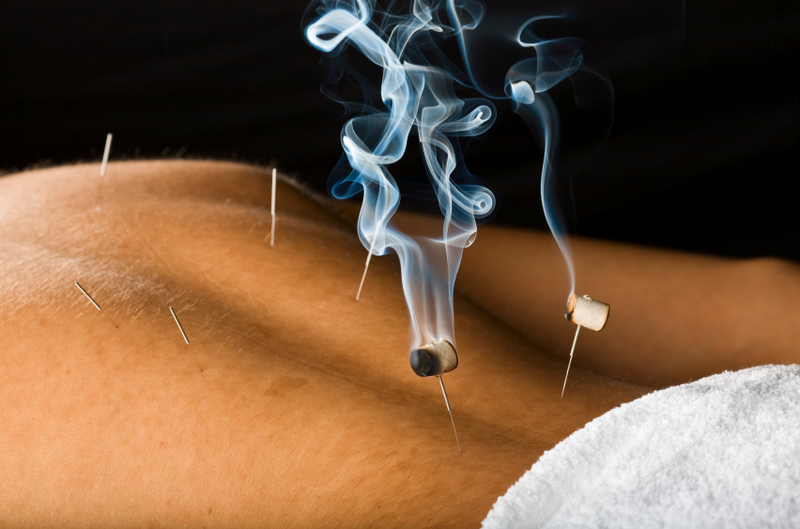 Acupuncture may be your solution to go with the smooth FLOW! Gently massage the lower abdomen with warm castor oil. Apply pressure for 3 ~ 5 minutes a few times a day to the acu-point called Three Yin Intersection or San Yin Jiao （三陰交）, which is located on the inside the lower leg, about four finger widths above the knobly ankle bone, and close to the bone (see the photo above). This point encourages the flow of Spleen, Liver, and Kidney Qi benefitting Heavenly Water. Learn some gentle yoga poses to encourage Qi flow to the abdominal and lower back areas. 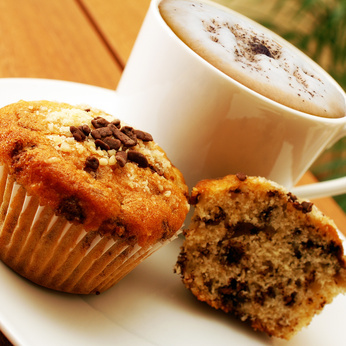 Avoid consuming excessive amounts of coffee, alcohol, red meats, spicy foods, sweets, greasy foods, and dairy foods. Avoid cold foods, drinks, raw and frozen foods. Eat green leafy vegetables, fish, eggs, poultry, and raisins. Do not walk around on cold floors in bare feet. The basis of losing weight is “Don’t eat more than you use up.” This is true, because if you are not consuming the energy you take from foods, the excess energy is accumulated on/in the body as fat. Theoretically, if you want to lose weight, you just do the opposite. The reality of losing weight is not solved by such a simple prescription of, “Don’t eat more than you use up.” Many people who try to lose weight often don’t succeed and are in a constant search for better dieting methods. That’s why you see new ones come along all the time. Then, why don’t those dieting methods work as you would expect? Is it all to do with a lack of discipline? In common dieting methods, two important points are missing from a Kampo point of view. Point 1: As discussed in No.1 of the series: Your Intestines Need Training Too!, you would need to understand the relationship between the weakened intestines and being overweight in order to lose weight (and especially in the right way). Point 2: You need to know your conformation, Jitsu Sho or Kyo Sho, as mentioned in No. 2of the seires: Are you Jitsu Sho or Kyo Sho?…and does it matter?. Someone famous succeeded in losing weight with one dieting method doesn’t necessarily mean that it will work for you too. If that particular method isn’t suitable for your conformation, that diet could even damage your overall health. Let’s take a look at some common dieting methods! These methods are about limiting the energy intake by either not eating anything or replacing regular meals with low energy foods for a certain period of time. e.g. Morning banana diet, Cabbage diet, Fasting, etc. The intestines don’t get to work and become weak because no foods/not enough foods come in. There is even a possibility of the intestinal (muscular) walls thinning. Also, if you are fasting, certain digestive fluids are still being produced in the stomach and intestines and these could damage the mucous membranes of the stomach and intestines. You have to drink a large amount of water to dilute the digestive fluids. With such a large volume of water, you urinate well, but you also tend to get constipated as no foods are coming in. You have to move the bowel even if you have to use laxatives. When you are fasting, the balance of the intestinal bacteria changes. Without any foods coming in with good bacteria, bad bacteria continues to grow, and the bad bacteria can then erode the intestinal walls and cause an infection. While fasting, your stools and farts become very smelly. This is caused by overgrowth of the bad bacteria in the intestines and it is not that you are releasing toxins. These methods are suitable for people of Jitsu Sho, and they can lose weight with these methods. However, when they stop dieting/fasting, their appetite will be increased. There will be a rebound effect (gaining the weight back). While fasting, the accumulated fat is melted into the blood stream to produce more energy. Jitsu Sho may be able to metabolise the fat in the blood while Kyo Sho may develop blood clots that could lead to serious diseases. Fasting can put a burden on the intestines, and it is dangerous for Kyo Sho. These methods aim to burn fat using aerobic exercises and to raise the fundamental metabolism. e.g. Aerobic classes, Jogging, etc. Because you move the body very actively, the intestines are also stimulated from the physical movements and their functions are promoted. Hard aerobic exercises are obviously suitable for Jitsu Sho, who has a strong functioning of the heart and lungs. If you are Jitsu Sho, you can do aerobic exercises soon after the meals. In this way, you use right away the energy you gained from the meals so the dieting effects are greater. It will be hard for Kyo Sho to do aerobic exercises soon after the meals because functioning of the heart and lungs are weaker. As eating is an “exercise”, if you start sending the blood towards the structural muscles, your digestion will be compromised, and you could develop an abdominal pain. Metabolism enhancing methods aim the effects of dieting by taking in ingredients that raise the body temperature, such as spices and carnitine, and enhancing the metabolism. e.g. Chilli diet, Carnitine diet, Alpha-lipoic acid diet, Ginger diet, Morning curry diet, etc. Spices and active ingredients in these diets stimulate the intestines and promote their functions. Your bowel movements get more regular; constipation will be relieved; and the stools will be nicely formed if you tend to have loose stools. 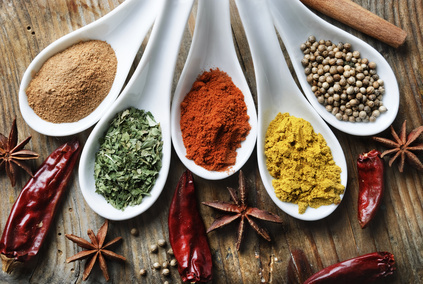 If certain spices and ingredients don’t suit you, you may develop a sore mouth, a nausea, or an abdominal pain. It is important to observe your own responses as you introduce a new dieting method. When the body temperature goes up by 1℃, the calorie consumption goes up by 1.7 times. All the metabolic activities going inside the body are enzyme reactions. When the body temperature goes up, the enzyme reactions are enhanced. If you are Jitsu Sho, and your metabolism is already high to begin with, then this dieting method may not be suitable and is not recommended as the method may make Jitsu Sho too hyper. Balancing the body and internal organ methods aim to promote overall health by working on the imbalance and weakness that are observed in the musculoskeletal system, internal organs and constitutions. e.g. Ayurveda, Ear acupuncture dieting, Pelvis adjusting diet, Acupuncture & Moxibustion, etc. These methods, such as acupuncture and ayurveda, recognise that there is an invisible system in the body. By balancing and stimulating this system in their own way effectively, a parasympathetic nervous system is activated and hence the intestines become to function well. These methods are similar to Yoga in terms of focusing on raising your metabolism. It takes time to see the benefits of the methods, but there are very little adverse effects so the methods are suitable for people with low metabolism, Kyo Sho, and the elderly. For example, if you are middle aged; have a lower back and/or knee problems; and gained weight. Because you gained weight, the back and knees also become worse. You get into a bad cycle like this. These methods are gentle and address your imbalance step by step. Eventually, you will be focusing on the functioning of the intestines with these methods. All the dieting methods have their merits and demerits. The above is only a few examples. Whatever the dieting method may be, there will be its merits and demerits rather than one method is good for all and the other is bad. If your conformation happens to match with the dieting method that you chose, it could work well for you. It is not just a good idea to buy into someone’s success story and simply follow the dieting method named after that person. You probably got an idea by now that it is necessary to choose a dieting method suitable for your conformation, Jitsu Sho or Kyo Sho to make it work. However, the most important thing to think of, which is shared by both Jitsu and Kyo Shos is the functioning of the intestines. When the intestines function well, the energy consumption goes up; the blood circulation to the intestines enhances; and the metabolism also goes up. The difference between Jitsu Sho and Kyo Sho is the way to approach how to make the intestines function well. Because the important thing for Kyo Sho is to find the way to raise metabolism, you will give a priority to the quality not the quantity of foods. Make sure to eat a good breakfast to prepare the functioning of the intestines for the day. Eat three meals a day, and reduce the quantity of carbohydrates only at a supper time. If you (Kyo Sho) reduces essential nutrients, for example by fasting, you could lose your physical strength rapidly and develop an illness. Follow “The Diets That Train Your Intestines” for Kyo Sho (it will be introduced in details in a later blog.) to keep taking in a certain quantity of energy producing foods and to raise your metabolism. Because it is particularly important to have good metabolism of water and hormones, suggested activities are breathing exercises and light exercises. If Kyo Sho did a fasting type dieting and/or hard exercises, Kyo Sho would only lower its metabolism as hard exercises don’t help raise the metabolism. Kyo Sho will find the fasting type method and tough exercises too hard to carry on. You will have to eat a certain quantity to satisfy your big appetite. Therefore, you should eat a large amount of dietary fibre rich foods that will give you a volume, and they will promote elimination and detoxification. Eat three meals a day but eliminate carbohydrates completely at a supper time. Tackle this modern illness, overweight, in a Kampo way! In recent years, a number of Jitsu Sho with intestinal Kyo Sho has been on the rise. At the same time, a number of Kyo Sho, who has eaten loads of sugary foods and become overweight, is increasing as well. It is called a modern illness because ‘cold foods & drinks’ and ‘sugars’, which weren’t readily available a long time ago, are the causes of such ‘modern’ overweight. “The Diets That Train Your Intestines” (it will be introduced in details in later blog.) are based on an application of Kampo theories and thinking. 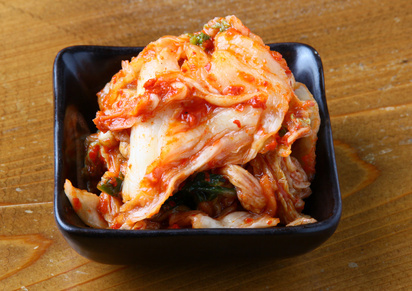 A Kampo way may be a ticket to a successful dieting and good health. Remember that a weight gain isn’t always proportionate to the calories taken. From a Kampo perspective, it is wrong to think that what you eat is all digested and absorbed. The Kampo way recognises that the ability to digest foods and absorb the nutrients from them is different for each individual. Is it Ok to practice Sun Salutation in the evening? Sun Salutation is a dynamic sequence of yoga poses, asanas, in Sanskrit. It was not considered part of traditional hatha yoga practice at first, but was later added to the original asana group. It is very effective in energising and warming the whole body to prepare for other asanas or for the day ahead. After a busy day, you look forward to an evening practice of just slowing down, easing your tensions away, and preparing for a good night sleep. If these are the benefits you look for in your evening practice, is Sun Salutation still good for you then? According to one of the great yoga masters, Swami Satyanada Saraswati (1923 – 2009), the ideal time to practice Sun Salutation, Surya Namaskar, is at sunrise, the most peaceful time of the day (and whenever possible, practice in the open air, facing the rising sun). The Sanskrit name, Surya refers to the sun and Namaskar means to bow or to show respect. However, the yoga master goes on to say that Surya Namaskar may be practiced at any time of the day provided that the stomach is empty, confirming that Sun Salutation can be a versatile practice! How could you make Sun Salutation more suitable for your evening practice? The practice of Sun Salutation loosens, stretches, massages, and tones all the joints, muscles and internal organs of the body. By practicing Sun Salutation in a gentler way, it will relax and recharge the body instead of raising energy. You can add more restorative simple asanas, such as a lying down spinal twist and a child pose after Sun Salutation. After practicing all these asanas, also you can practice a gentle Pranayama, such as Nadi Shodana, alternate nostril breathing, a breath control technique that harmonises the nervous system, as well as guided deep relaxation and/or meditation to make the evening session complete and relaxing. A well-balanced 15 minute to 30 minute evening practice could help you get a better night sleep, and be more rested for the next day. * If you have any health concerns, consult with a doctor or other healthcare professionals before commencing any yoga practice. It is important to understand the concept of a person’s overall conformation described by Jitsu Sho, Kyo Sho, or Chuyo, taking on board Dr. Tei’s ideas on the merits and demerits of various dieting methods. A person’s conformation or Sho is also an important part of the essence of Kampo medicine. First of all, Jitsu Sho means strong, full or excess; Kyo Sho means weak, empty or deficient; and Chuyo is in between the two. The state of Chuyo is considered ideal in Kampo medicine, a balanced state. The characteristics of Jitsu Sho? If you are typical Jitsu sho, you have good physical strength, are highly motivated to take action, and are able to put a strong fight against illness. You can work through the night without too much impact on you and also be very active on your days off. For example, if you catch a cold, you may develop a high fever, but recover from it quickly. However, you may not notice any signs and symptoms of illness or disease developing in you, and then end up with the disease far advanced by the time you see a doctor. You both work and play hard, which could lead to a ‘short’ life. If you are Jitsu sho, you can drink and eat more than others, maybe enjoying a full course French meal including both fish and meat all in one go. The characteristics of Kyo Sho? If you are Kyo Sho, you are generally less strong physically and have a less energetic attitude towards action, and tend to tire easily. If you start having a runny nose, you often run to a doctor without a delay. There probably is no way you work through the night without the need of a total rest on the following day. You tend to catch infectious diseases, such as colds and flus more often. 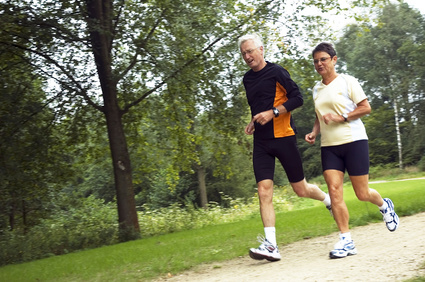 However, because you look after yourself well and avoid taxing your body, you could live a ‘longer’ life. If you are Kyo Sho, you prefer to drink just a little, and usually at home. Also, you would find a four course meal too much to enjoy and prefer if possible to eat fish on one day and meat on the next. Classifying these conformations is rather intuitive, and never fixed and definite. The overall conformations can move and change depending on your physical conditions on a particular day or even the time of the day. You have a tendency to belong to one or the other, and staying in the middle all the time is less likely. Here is an interesting insight: while you are overall Jitsu Sho, your intestines can be found to be Kyo Sho. It means that you look strong, work hard, eat a lot and so on. However at the same time, your intestines are weak with no muscular strength. This is a big problem in today’s world. Jitsu Sho or Kyo Sho of the intestines do not match up with your overall conformation. Kyo Sho of the intestines could have an association with overweight & poor health. So are you Jitsu Sho, Kyo Sho or Chuyo? ….and how about your intestines? Train your Intestines to Lose Weight and Become Healthy!